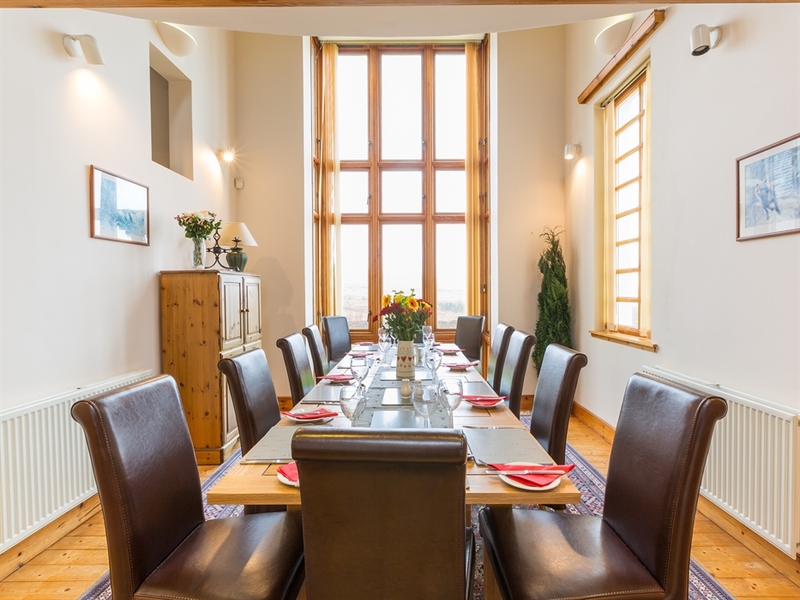 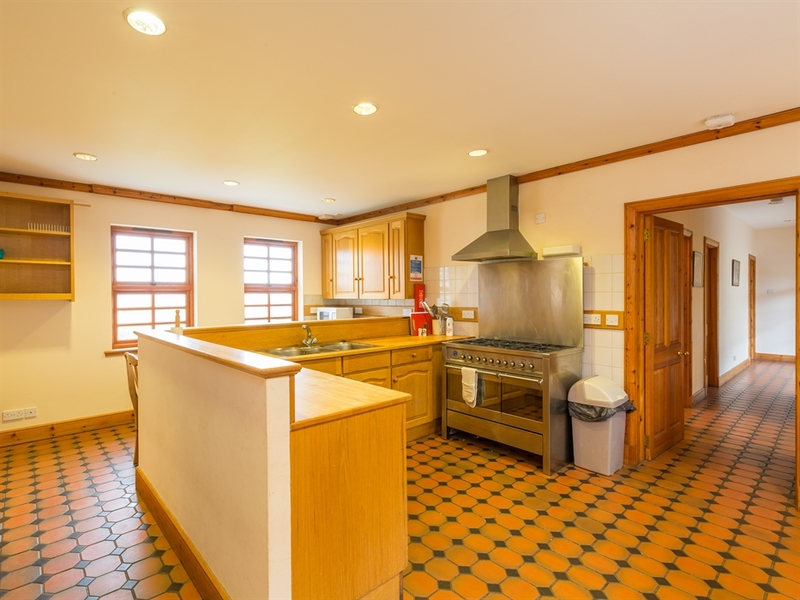 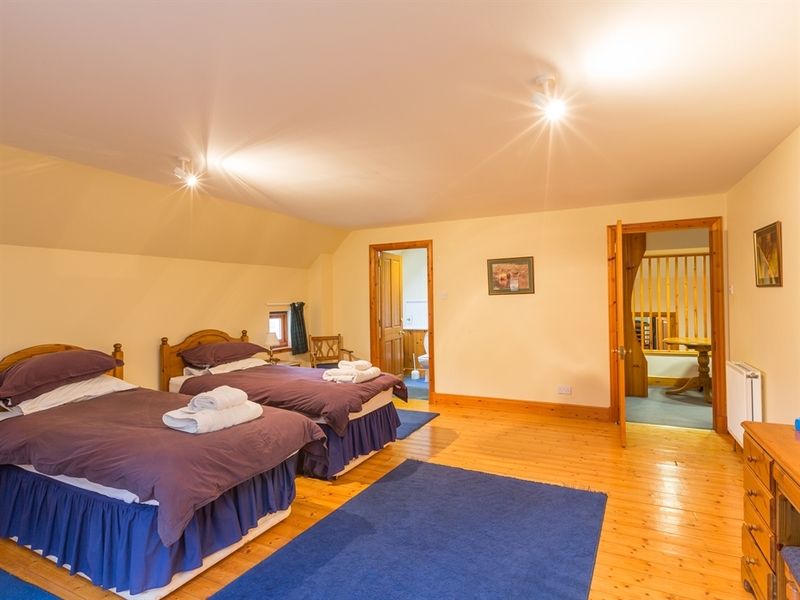 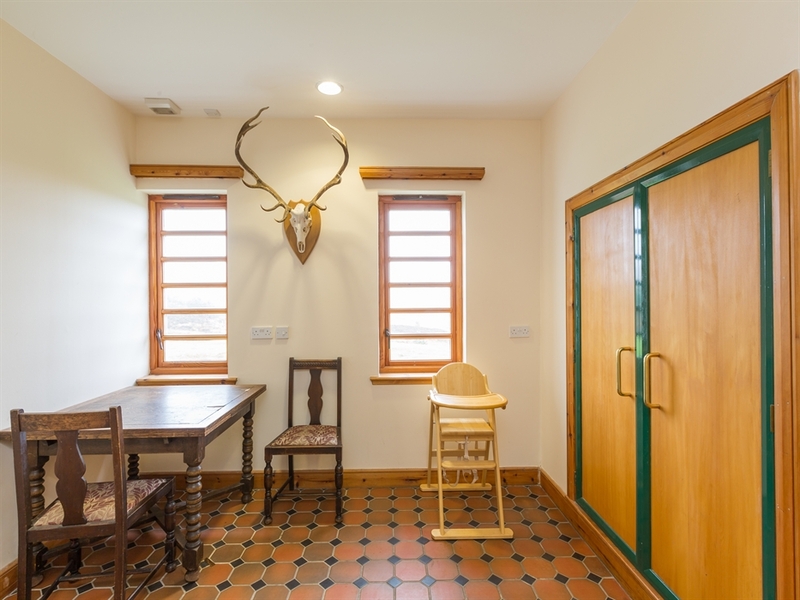 St Hubert 's Lodge is a contemporary take on a traditional shooting lodge. 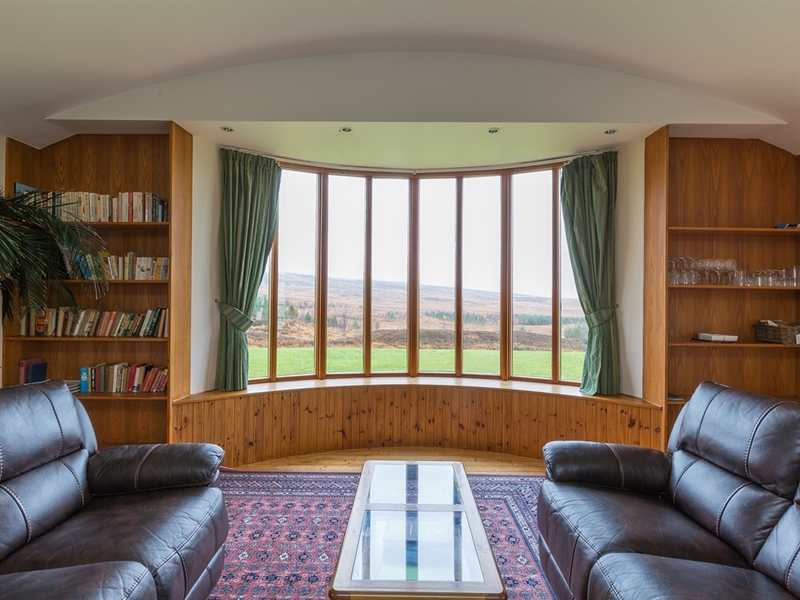 This property features a spacious sitting room with exceptional views over the hills and trees of the Perthshire countryside. 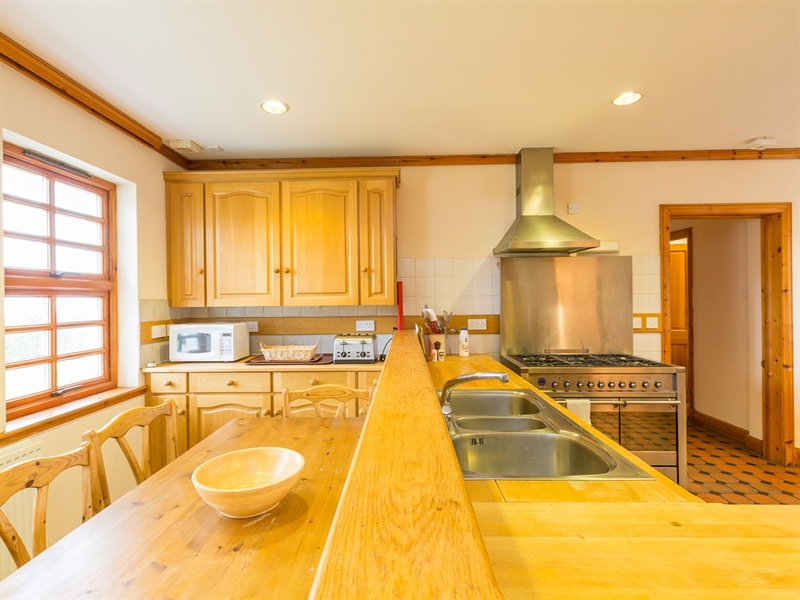 Built in 1996, this wonderful property is a traditional shooting lodge with a contemporary twist. 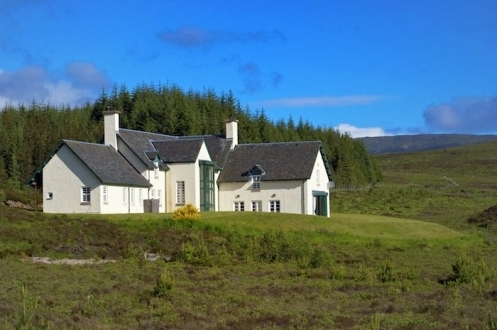 Stylish and elegant, it has been refurbished in tartan fabrics complemented by timber floors and wooden feature windows. 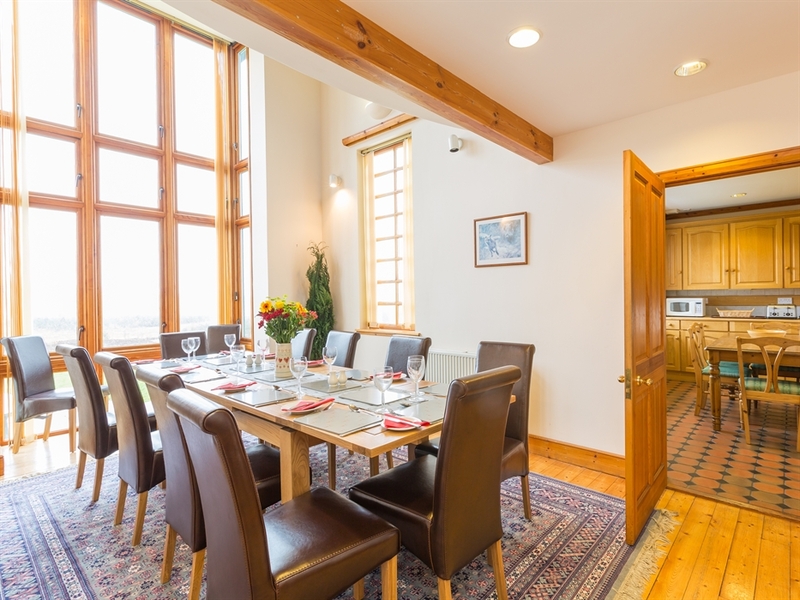 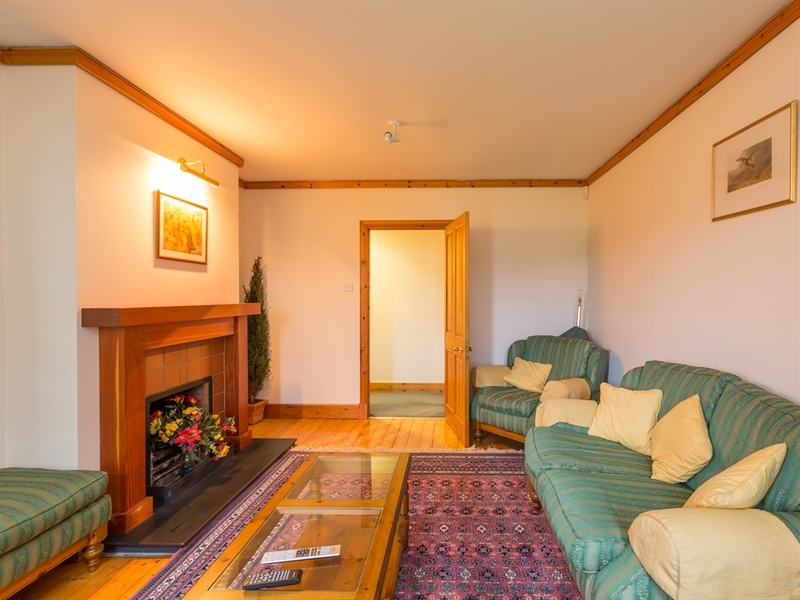 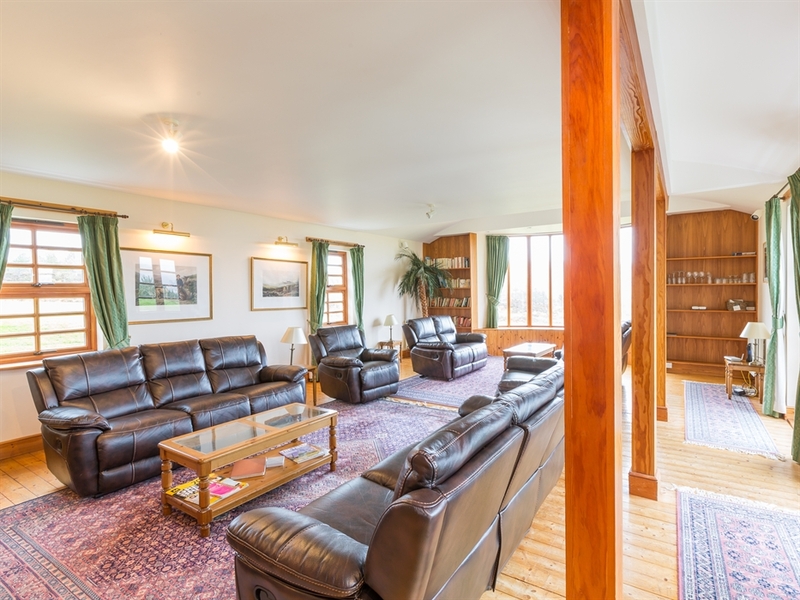 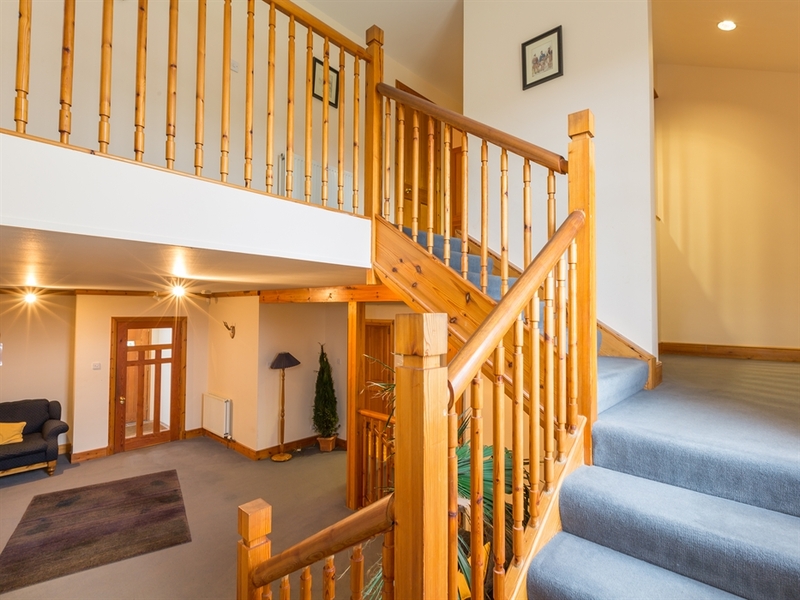 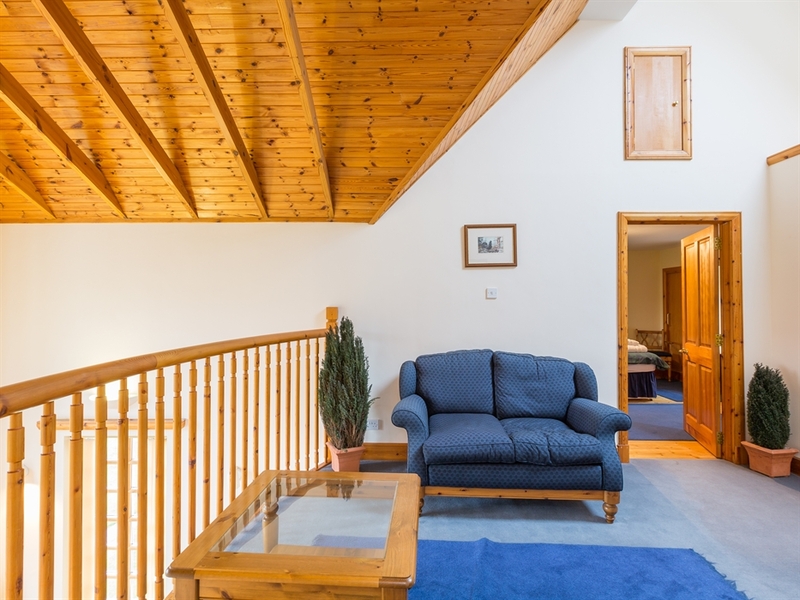 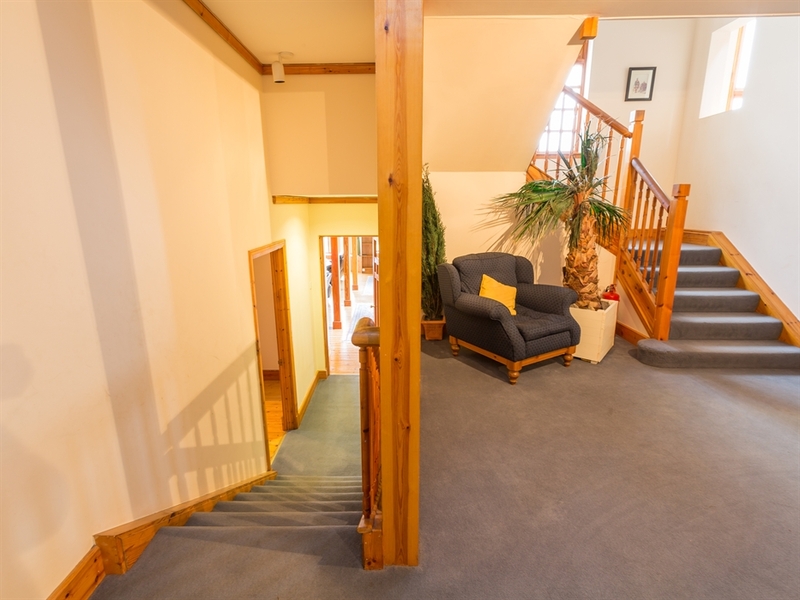 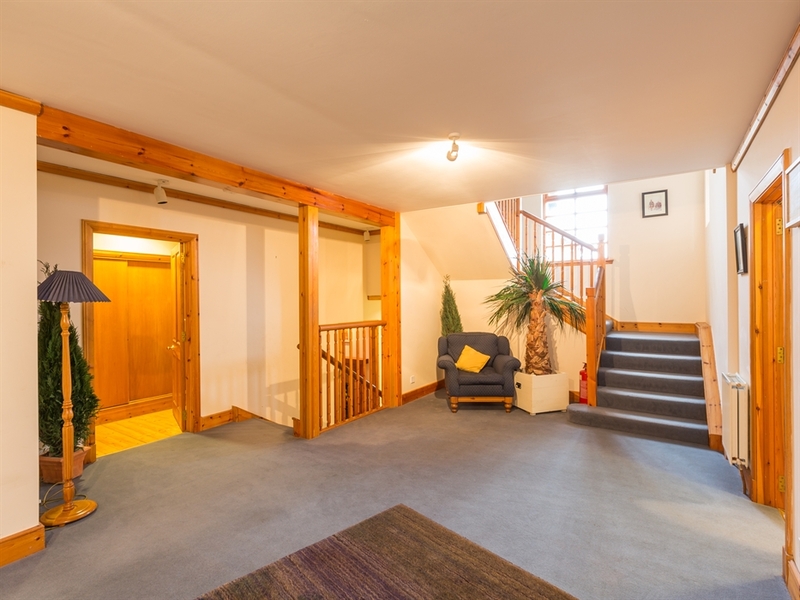 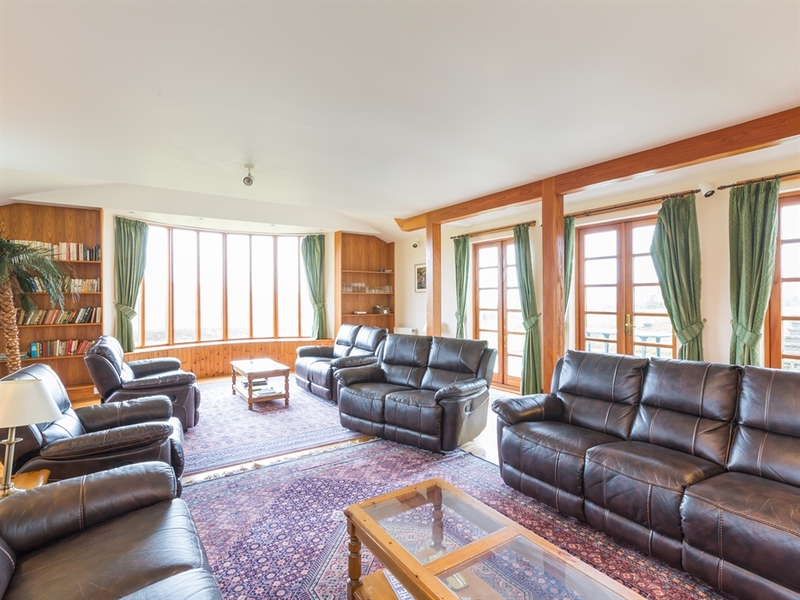 The spacious sitting room with its large open fire and comfortable sofas, has splendid views over the hills and trees of the Perthshire countryside, and a well equipped kitchen make this property the ideal self catering accommodation for "get-togethers" of family and friends. 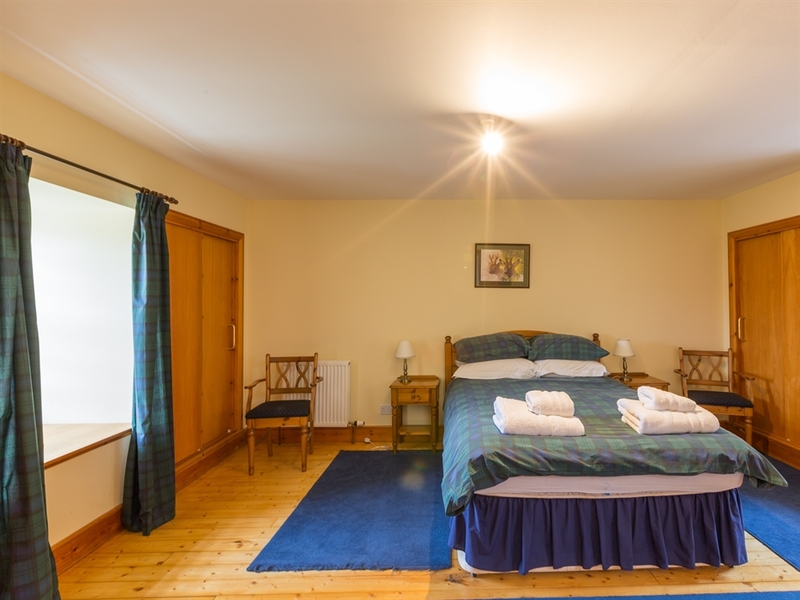 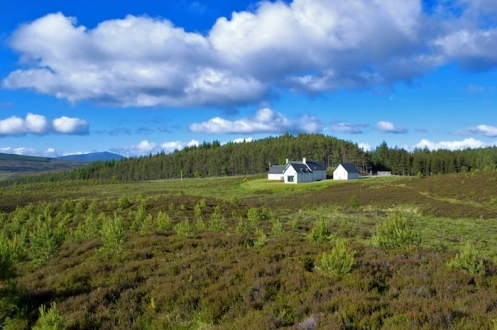 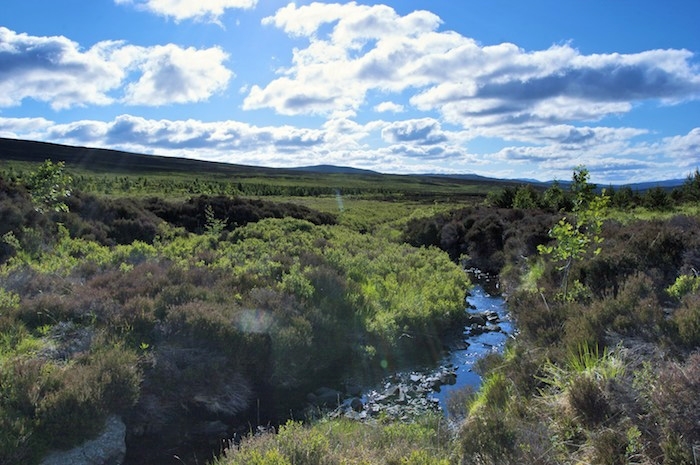 Enjoying the sense of isolation, yet only one mile from the A9 and 11.5 miles from Blair Atholl, St Hubert’s Lodge is ideally placed to explore the area near and far. 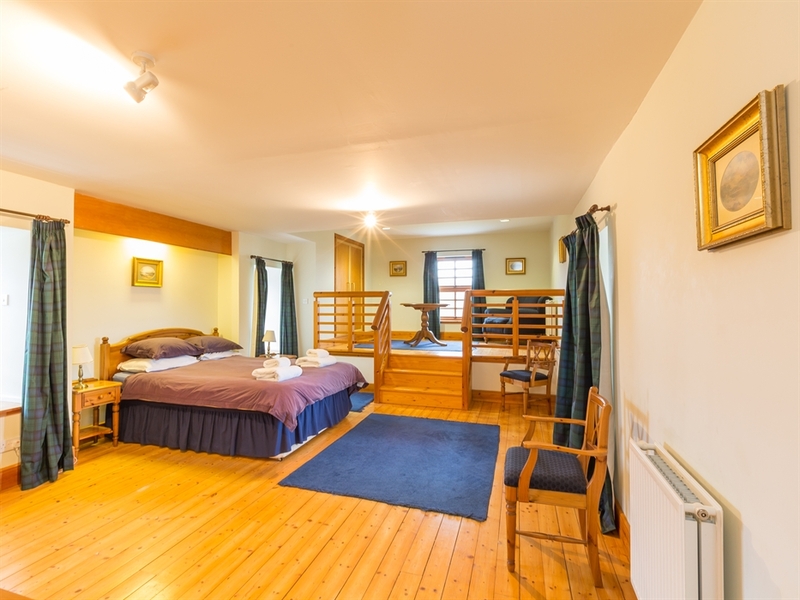 Large hall; double en-suite bedroom (bath with shower over, WC and WHB); separate WC with WHB; breakfasting kitchen; freezer room; utility room; dining room open to gallery room above; gun room with gun cupboard; shower room with WC and WHB; small double bedroom (ideal for cook). 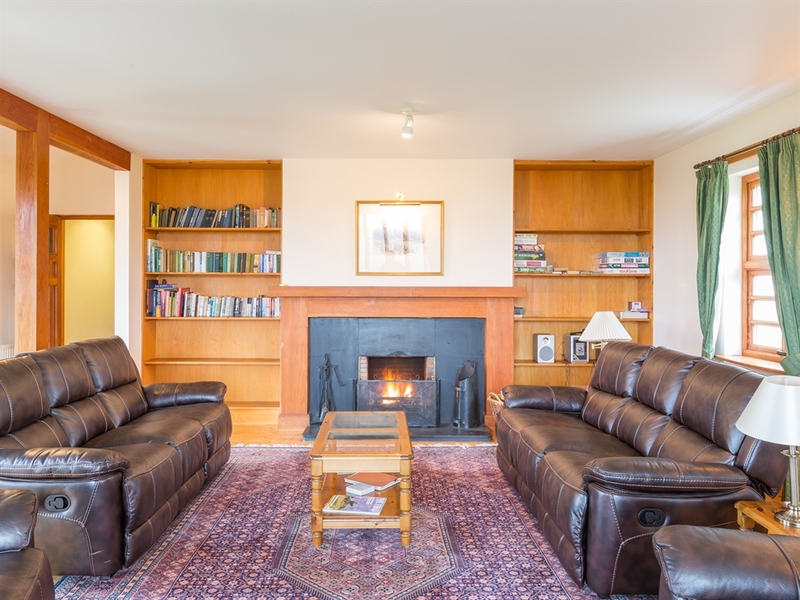 Down a few steps from the hall is a sitting room and a separate drawing room with open fire and patio doors. 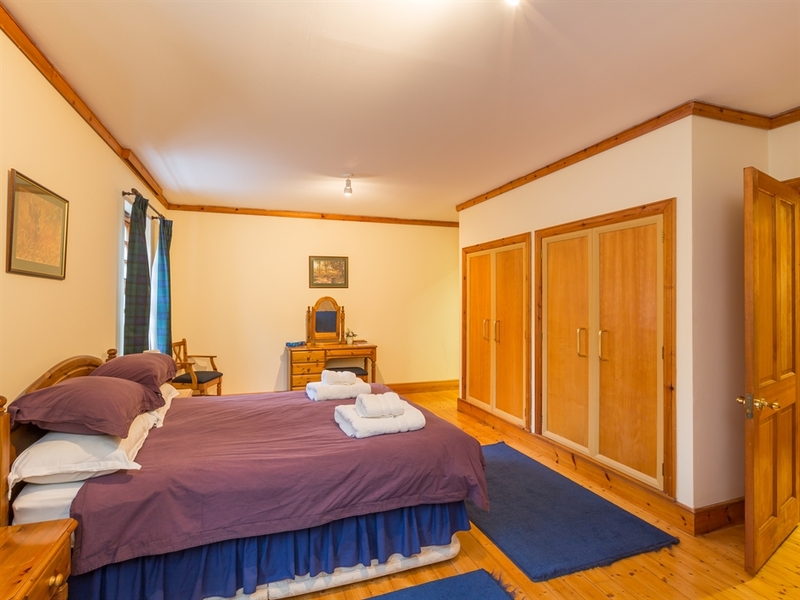 Split-level; double en-suite bedroom with sitting area (bath with shower over, WC and WHB). 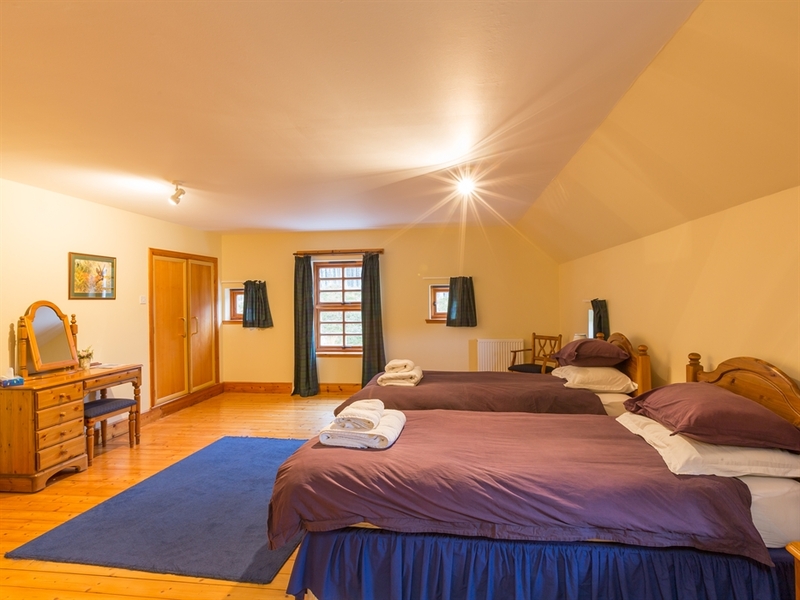 Twin en-suite; 2 double en-suites. 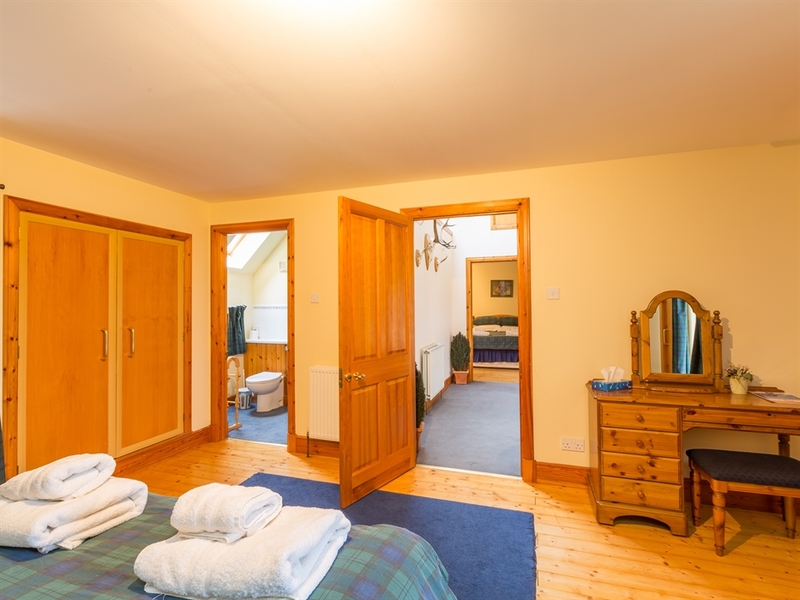 All en-suites have bath with shower over, WC and WHB. 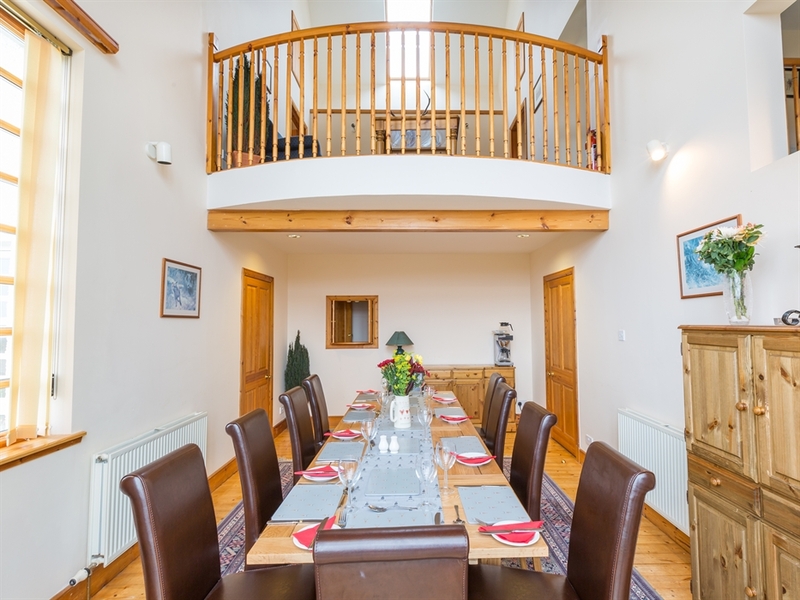 Gallery sitting area overlooking dining room; reading neuk.